Alabang is graced with another majestically beautiful residential tower. Filinvest, the country’s leading developer of quality but affordable housing communities, is up to a new residential project. 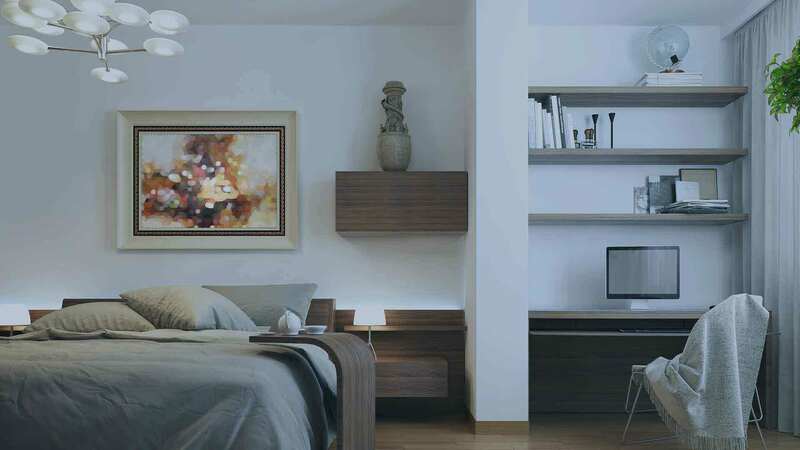 It’s called La Vie Flats - a perfect residential choice for Metro Manila residents. La Vie Flats is a 22-storey high rise residential tower housed within the famous Filinvest Corporate City at Parkway Avenue in Alabang. By the looks of it, you wouldn’t believe that a luxurious-looking residential building such as La Vie would be affordably priced. La Vie Flats is surprisingly a very affordable residential community within the metropolis but the quality of work obviously matches that of the most expensive ones. The elegance of La Vie Flats is simply fitting for an active and dynamic lifestyle – be it an individual or a family. Standing right at the heart of Mandaluyong City’s prime destination - Alabang, La Vie Flats tower naturally blends with the sophistication of modern times. La Vie Flats is housed in the midst of a lush greenery of Alabang. Seldom one can find any similar place within the metropolis where towering vertical residences are graced with rich growing trees below. This is one of the plus factors of living in La Vie Flats. Air filtering system is naturally available because of a thick forest-like environment within Parkway Avenue. That makes the place very ideal for busy individuals and families who need more quiet time in a cool and safe residence. An ideal abode for busy young executives and for growing families. At La Vie Flats, you are not just treated with the comfort of your residence, you are also treated with a daily dose of fresh air. Without an inch of doubt, La Vie is the safest haven for families who have been battered for years with noise, air pollution, and overcrowding. La Vie Flats by Filinvest Land offers spacious residential spaces with sizes ranging from 47 to 125 square meters, and with 1 to 2 bedroom units available for immediate occupancy. Most of the units here are provided with balconies for a better view of Metro Manila at night. Floors are fully tiled, and the living, dining and kitchen areas well provisioned. Toilet and bathrooms are well tiled as well including countertops. Location-wise, La Vie Flats is not just strategically located in-between and amongst key commercial centers, it is, in fact, standing in a prime location – at the Filinvest City. And with the presence of a mini-forested locale, La Vie provides a better panorama of the city view as it provides a fresh outlook on city living. With the standards set forth by Filinvest for La Vie, urban living is re-defined from a whole new perspective. Inside-out, the true beauty of this residential place is largely visible because Filinvest just made sure that this tower is not an ordinary shelter, it is a “community”. Building a residential community is something that Filinvest has mastered for a long time. La Vie Flats is a perfect residence for an active lifestyle, someone who is working at daytime and mostly engaged at night because it is located at the right place (being at the center of commerce & trade) and at the very right time (being always easily accessible). La Vie Flats is capable of providing extraordinary comfort for all of its residents and “convenience” here is defined way beyond the usual concept. And you couldn’t ask for more than what La Vie Flats’ safety and security. La Vie Flats is the summary of a healthy urban living. In here, you enjoy the sudden tropics of a cool provincial climate without inching away from your flat. A quick peep of the outside world from your window would make you realize how lucky you that La Vie Flats is your solace and hideaway place. We would like to invite returning Overseas Filipino Workers who want to retire in the Philippines and enjoy urban living at La Vie Flats without being harassed by the usual traffic jam of the Metropolis. Here, everything you need is within the reach of your fingertips. In here, shopping and dining out is never a problem at all. We would invite starting families as well. It is time that you realize that your being too busy at work will not sacrifice the safety of your family. Safe as it is, La Vie Flats will be a good place to leave your family safe while you are out there making a living. Another premier high-rise condominium residential community has risen on this part of Alabang, and another worthy offering from the country's best property developer: Filinvest Land. The La Vie Flats Alabang soars high in this premier destination and condo living has never been the same again! The La Vie Flats will surely revolutionize how we perceive luxury and affordability. At this enclave, both could be had. The project is a high-rise residential development right at the heart of one of the country's fastest growing economies, Muntinlupa City. The site is located inside the Filinvest City, specifically along Parkway Ave., Filinvest Corporate City, Alabang, Muntinlupa City, the similarly premier address of Filinvest's another premium residential project, the Vivant Flats. Set within the lush green and semi-forest locality of Alabang, this project has a single building with 22 stories of residential floors that offers 1-BR and 2-BR residential condo units. The units have sizes ranging from 47 to 125 sqm of spacious shelter designed and built by the responsible men of Filinvest Land. Balcony, living, dining and kitchen areas are provided together with 1tiled T&B, finished and painted walls and ceilings. One bedroom units on the middle of the building facing south is also provided balconies. The lobby or reception area is made mimicking those of 5-Star hotels. Other amenities include multi-function room, indoor play area for children, fitness center with equipment, landscaped gardens, gazebo and jogging path. Other worthy facilities and amenities are shared with Vivant Flats community such as swimming pool, multi-purpose room with pantry and bar, kiddie pool, poolside cabana and children's outdoor play area. The La Vie Flats Alabang is surrounded by prestigious schools such as the San Roque Catholic School, the Paref Southridge School, De La Salle Zobel, MIT International School, Paref Woodrose School, South Crest School and San Beda College Alabang. Here, your kids will not have a hard time choosing. Several hospitals are near the site such as the Muntinlupa Doctors' Hospital, Asian Hospital and Medical Center, Medical Center Muntinlupa, Research Institute for Tropical Medicine, Ospital ng Muntinlupa, Alabang Medical Center and Hillside General Hospital, among others. For entertainment, leisure and shopping needs, there are more of these kinds nearby, such as the Festival Supermall, Westgate Center, Alabang Town Center, Starmall Alabang and Metropolis Mall, Alabang Golf and Coutry Club, Palms Country Club inside of FCC) and many others. Filinvest La Vie Flats in Alabang, Philippines is a premier Condo project available for sale. If you're looking to rent or purchase La Vie Flats, then check here first. We have full details of La Vie Flats updated regularly as well as everything you need to know about the availing and booking process, broken down into stages that includes selecting a unit, choosing a payment plan and buying your dream home at the right price. For price list, free site tripping or showroom visit, personalized service, model house, unit plans, floor plans, payment terms, CHAT LIVE with an agent 24x7. We are Remax Perfect Homes. Always only buy from PRC licensed Real Estate Brokers and Agents.